Lady Lucy Somerset, Baroness Latimer (c.1524 – 23 February 1583) was an English noblewoman and the daughter of Henry Somerset, 2nd Earl of Worcester and his second wife, Elizabeth Browne. By her mother, Lucy descended from the brother of “Warwick, the Kingmaker” (Richard Neville, Earl of Warwick), John Neville, 1st Marquess of Montagu. The Marquess was also brother to Lady Alice FitHugh (born Neville); great-grandmother of Queen Katherine Parr. Warwick and Montagu were casualties of the War of the Roses. Montagu’s surviving children included Lucy’s grandmother, also named Lucy. Lucy married Sir Anthony Browne and they were parents to Lady Elizabeth Somerset, who became Countess of Worcester upon her marriage to Sir Henry Somerset, Earl of Worcester. Lady Worcester’s sister, Anne, married to Charles Brandon, later Duke of Suffolk, in 1508. As such, the Countess was aunt to Ladies Anne and Mary Brandon. Lady Worcester became a lady-in-waiting to Queen Anne Boleyn, the second wife of King Henry VIII. However, Lady Worcester was an informant against the Queen when she was tried in 1536. Queen Anne was tragically sentenced to death and was executed shortly after. Lucy Somerset may have served as a Maid of Honour to Queen consort Catherine Howard. Queen Catherine was the other ill fated wife of King Henry VIII. After Catherine was found to have had liaisons with other men before and possibly during her marriage to the King, she was also beheaded like her cousin, Queen Anne. Interesting fact: The holder of Catherine’s jewels after her execution would become the next sister-in-law to King Henry–Lady Herbert, lady-in-waiting to Queen Catherine Howard. Lady Lucy married in 1545 to John Neville, 4th Baron Latimer, the stepson of King Henry’s sixth consort, Katherine Parr. As a teenager, John had proved to be a confident sulking, lying, and over-sensitive boy. His father, the 3rd Baron, did not name him as heir to his properties and made sure that his son could not meddle with his inheritance or the Baron’s legacy. In the 3rd Latimer’s will, Katherine Parr was named guardian of his daughter and was put in charge of his affairs which were to be given over to his daughter at the age of her majority. Despite the turbulance of the 4th Baron’s youth, Katherine Parr kept her stepchildren close, especially the Baron’s sister, Margaret. As Queen, Katherine made the new Lady Latimer a lady-in-waiting. Parr and the new Lady Latimer also happened to be cousins as their great-grandparents were siblings. The couple had four daughters who all married quite well. Hon. Elizabeth Neville (c. 1545 – 1630), married firstly Sir John Danvers of Dauntsey, and secondly Sir Edmund Carey, a cousin to Queen Elizabeth I. Her children include Sir Charles Danvers, who was executed for his part in the Essex Rebellion in 1601. Elizabeth’s descendants by John Danvers included the Dukes of Leeds [extinct in 1964]; the Earls of Lichfield; and the Earls of Leicester of Holkham from which Sarah, Duchess of York (mother of Princess Beatrice and Eugenie of York) descends. Hon. Katherine Neville (1546 – 28 October 1596), married firstly Henry Percy, 8th Earl of Northumberland, and secondly Francis Fitton of Binfield. Lord and Lady Northumberland were parents to Sir Henry, 9th Earl of Northumberland. Her descendants include Lady Diana Spencer, Princess of Wales; HM Queen Elizabeth II by her mother; Sarah, Duchess of York; and others. Katherine was buried in the Chapel of St. Nicholas in Westminster Abbey, within the Percy family, Dukes of Northumberland. Hon. Dorothy Neville (1547 – 23 March 1609), married Sir Thomas Cecil, Queen Elizabeth’s counselor, later Earl of Exeter. Cecil was the half-brother of the Earl of Salisbury. Her descendants also include Lady Diana Spencer, the late Princess of Wales (mother of the future King William and the Duke of Sussex). Hon. Lucy Neville (c. 1549 – April 1608), married Sir William Cornwallis of Brome Hall. Their daughters made advantageous marriages to nobility such as the marriage of their daughter Anne to the 7th Earl of Argyll by whom she had issue. Another daughter, Elizabeth, became Viscountess Lumley as the wife of Sir Richard, 1st Viscount Lumley. Lord Latimer died in 1577. He was buried in St. Michael’s Church, Well, North Yorkshire which adjoined Neville’s home, Snape Castle. The church had a long standing history with the Neville family going back to John, Lucy, and Queen Katherine Parr’s ancestor, Sir Ralph Neville, the 1st Earl of Westmorland. Westmorland who married Lady Joan Beaufort; the only daughter of Prince John of Gaunt, 1st Duke of Lancaster by his mistress, later wife, Katherine Roet Swynford. Ralph Neville was responsible for the building of the present church c. 1330. The 4th Lord Latimer’s mural monument lies in Nevilles’ Chapel within Well’s Church. Latimer’s daughter, Dorothy, Countess of Exeter inherited Snape Castle and is also buried there with her husband Thomas Cecil, 1st Earl of Exeter. According to a card placed upon the tomb of the 4th Baron, the four coat of arms on his tomb represent that of his four daughters and their husband. The Latimers died without sons and their four daughters became joint heiresses. The barony became abeyant until 1913, when its abeyance was terminated in favour of the 4th Baron Latimer’s descendant Francis Money-Coutts, who became the 5th Baron Latymer. Document on the magnificent tomb of Lady Lucy Somerset, Lady Latimer; wife of the 4th Lord Latimer and lady to HM Queen Katherine Parr. Lady Latimer died on 23 February 1583. She was buried away from her husband in Hackney Parish Church in London. Her grand tomb has her effigy surrounded by her four daughter’s coats of arms. Her tomb is one of only a few in England which feature such noble bearings; the other being the tomb of George Clifford, Earl of Cumberland at Skipton which is surrounded by no fewer than seventeen richly adorned shields which include that of Brandon, Dacre, de Clare, St. John, and more. The Earl himself was a descendant of Queen Katherine Parr’s great-aunt, Mabel Parr, Lady Dacre. Lady Latimer’s tomb not only includes the arms many of those on Clifford’s tomb as Neville, Beauchamp, Dacre, Berkeley, and Percy but also those of de Vere Earl of Oxford, Walcot, and Cecil. Lord Latimer’s arms (the Neville) are at one end of the tomb. The statues of the four daughters were two on each side of the monument; at the side of each the shield of the husband impaling the Neville arms. These arms are thus repeated five times. At the other end are Lady Latimer’s arms: the lions and fleur de lis that is France and England, quarterly, the arms of Beaufort, as she descended from the eldest legitimated son of John of Gaunt, Duke of Lancaster; John Beaufort, 1st Earl of Somerset as well as his sister, Lady Joan, Countess of Westmorland. Tomb of Lucy, Lady Latimer in St. John Church, Hackney, London, UK. Photo Credit: Here. Such as she, is such surely shall yee bee; Such as shee was, such if yee bee, be glad: Faire in her youth though fatt in age she grew; Virtuous in bothe whose glosse did never fade. Though long alone she ledd a widowe’s life, Yet never ladye live da truer wife. From Wales she sprang, a Branch of Worcester’s race, Grafte in a stock of Brownes her mother’s side: In Court she helde a maide of honor’s place, Whilst youth in her, and she in Court did byde. To John, Lord Latimer, then became she wife; Four daughters had they breathing yet in life. Earl of Northumberland tooke the first to wife; The nexte the heire of Baron Burleigh chose: Cornwallis happ the third for terme of life: And Sir John Danvers pluckt the youngest Rose. Their father’s heirs, them mothers all she sawe: Pray for, or praise her: make your list the Lawe, Made by Sir William Cornwallis, Knight, this Ladye’s Sonne in Lawe. Susan E. James. Catherine Parr, Henry VIII’s Last Love. The History Press, 2009. W. Harbutt Dawson. History of Skipton, Simpkin, Marshall, London, 1882. Anne Russell (née Sapcote), Countess of Bedford (died 1559) was the daughter and heiress of Sir Guy Sapcote and Margaret Wolston. By her son by the Earl of Bedford, Anne is the ancestress of the current Dukes of Bedford. The current heir to the Dukedom is Henry Robin Charles Russell, Marquess of Tavistock (b. 2005). Anne is also an ancestor to other Dukedoms which include the Dukes of Beaufort and Manchester. Anne’s first husband was John Broughton. The couple had three children, Katherine, John, and Anne. Anne’s daughter, Katherine later married to William Howard, 1st Baron Howard of Effingham, son of Thomas Howard, 2nd Duke of Norfolk and Agnes Tilney. Another daughter, named Anne became the wife of Sir Thomas Cheney of the Isle of Sheppey. [BHO] Sadly, the elder John died in June 1519. Anne married secondly to Sir Richard Jerningham. The two had no issue. Jerningham was a diplomat and gentleman of the privy chamber for Henry VIII. However, Anne was widowed again by 1525. As a twice widowed woman at court, Anne was involved in court politics, was intelligent, was mature, and was wealthy. One would say she sounded much like Katherine Parr did after her second husband, Lord Latimer, died in 1543. All of these characteristics made Anne a perfect match even if she had three children from her first marriage. 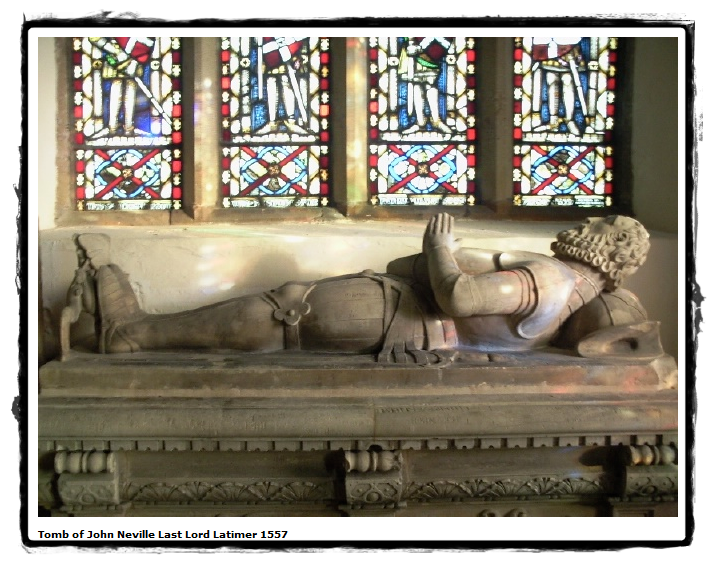 John Russell, 1st Earl of Bedford (1485-14 March 1555) was the son of James Russell and Alice Wyse. He married Anne in 1526. At the time of their marriage, Russell was a newly made man of the privy chamber to Henry VIII. Russell would go on to serve as Lord High Admiral and Lord Privy Seal. Russell’s career spanned over the reigns of King Henry VII to Queen Mary I. In 1506, he was in service to the future Queen Mary’s grandparents, Queen Isabel I of Castile and King Ferdinand II of Aragon, when they were shipwrecked at Weymouth. He escorted the couple to London and was praised by the royal couple to King Henry upon his manners. He became a gentleman of the privy chamber to Henry VII in 1507. In the reign of Henry VIII, Russell was used for diplomatic purposes and was knighted in 1522 after he lost an eye fighting in Brittany. Sadly, the power struggle between Anne Boleyn and Wolsey would keep Lady Russell from obtaining the wardship of her daughter, which she so desperately hoped for. Anne helped her husband on many occasions. She is known to have appealed to Lord Cromwell about debts that had not been repaid to her husband. She sent gifts to the King and when John was sick, she sent a letter to Cromwell to send a doctor. In an effort to secure the wardship of Anne’s daughter, John also wrote in 1528, but failed to obtain it. He did however secure the wardship of other family members. He also secured the property rights as the Sapcote’s heiress. However, in 1535, Anne lost yet another child. This time it was Katherine who had become Baroness as the wife to Baron Effingham. Sir John Russell survived the fall of Anne Boleyn and was made a Privy Counsellor in 1536. In 1539, he became a Knight of the Garter. He was also granted some of the estates of the attained Duke of Buckingham who had been executed for treason. He became Comptroller of the Household from 1537-1539. Russell continued to rise among his peers and was granted the title Earl of Bedford on 19 January 1550 by the boy King, Edward VI. Portrait of Lord Francis Russell. Black and coloured chalks, pen and Indian ink on pink-primed paper, 24.2 × 18.1 cm, Royal Collection, Windsor Castle. The drawing is heavily rubbed and disfigured, and the penwork is not original. Francis Russell (1527–1585) was the son of John Russell, Ist Earl of Bedford, whose portrait Holbein also drew. He succeeded to the earldom in 1555. Reference K. T. Parker, The Drawings of Hans Holbein at Windsor Castle, Oxford: Phaidon, 1945, OCLC 822974, p. 55. The couple had one son and heir, Francis (1527-28 July 1585). Francis eventually became the 2nd Earl of Bedford upon the death of his father. Like his father, Francis was very active at court. He rose to prominence under Queen Elizabeth I. He was made privy councillor and was an Ambassador. His tasks included that of representing Her Majesty at the christening of Prince James Stuart (the son of Mary, Queen of Scots and Lord Darnley). He was a guest of honor at the subsequent banquet and masque held in the Prince’s honor. Francis married to Margaret St. John, the great-great-granddaughter of Margaret Beauchamp of Bletso. The couple had four sons and three daughters. He married secondly to Bridget Hussey, daughter of John Hussey, 1st Lord and Lady Anne Grey, daughter of the 2nd Earl of Kent and Lady Katherine Herbert. Francis had no issue by his second wife. His issue by his first wife included Lady Elizabeth who married the Earl of Bath and had issue, Lady Anne who married the Earl of Warwick, Lady Margaret who married the Earl of Cumberland and had issue, and Lord William Russell who became the father to the 4th Earl of Bedford. Lord William Russell was the grandfather of William Russell, 1st Duke of Bedford. Anne died in 1559. Her and her husband were buried in the Bedford Chapel in Chenies, Buckinghamshire. A description of the monument erected is below. G.E. Cokayne; with Vicary Gibbs, H.A. Doubleday, Geoffrey H. White, Duncan Warrand and Lord Howard de Walden, editors, The Complete Peerage of England, Scotland, Ireland, Great Britain and the United Kingdom, Extant, Extinct or Dormant, new ed., 13 volumes in 14 (1910-1959; reprint in 6 volumes, Gloucester, U.K.: Alan Sutton Publishing, 2000), volume II, page 9, 73-76. Portrait of Lady Hoby, inscribed “The Lady Hobbei”. Black and coloured chalks, pen and Indian ink on pink-primed paper, 27.8 × 20.3 cm, Royal Collection, Windsor Castle. The drawing has been so rubbed and reinforced by later hands that it is disfigured, obliterating Holbein’s original work. If the inscription—added later and not necessarily reliable—is correct, the sitter is most likely Elizabeth Hoby, wife of the diplomat Sir Philip Hoby (1505–1558), whose portrait Holbein also drew. Reference K. T. Parker, The Drawings of Hans Holbein at Windsor Castle, Oxford: Phaidon, 1945, OCLC 822974, p. 50. Elizabeth Stonor, Lady Hoby, daughter of Walter Stonor of Hawton, Nottinghamshire and Fenny Compton. While most wives in the Tudor period cannot be documented, Elizabeth seems to have kept up correspondences with her father and they are well documented for two decades. Elizabeth’s first husband, Sir William Compton died in 1528. Unfortunately for her, the jointure she was promised had not been established by the time of his death. Her second husband, Sir Walter Walshe, sued Compton’s estate in Chancery. The matter was not settled and Walshe was dead by 1538. As a widow, Elizabeth returned home and her father took up the cause instead. Letters were sent to Cromwell to discuss the matter. Stonor sent the fee for the first year, reminding him to be her “good lord” and protect her from “great wrongs”. In 1540, Elizabeth married to Sir Philip Hoby, the son of William Hoby of Leominster by his first wife, Catherine Forster. After their marriage, the two rented their chief residence, Wreysbury, from Elizabeth’s father. Philip was a diplomat under King Henry VIII. He was also a huge supporter of the Protestant Reformation. Hoby was sent to places like Spain and Portugal. In 1538, he was tasked with getting a portrait done of Christina, Duchess of Milan by Holbein. Hoby and Holbein then went to France to paint Princess Margaret of France and Mary de Bourbon. Throughout the reign of Henry VIII, Hoby continued to advance and was eventually knighted after the siege of Boulogne. The couple had no children. The reply evidentely satisfied Elizabeth as she decided to spend Christmas at Stonor after all. When Tudor women married again, they used their subsequent husbands to safeguard their children’s inheritance. In some cases this worked and in others it did not. Luckily for Elizabeth, Sir Philip Hoby seems to have delivered in this area. Elizabeth asked Hoby to safeguard her inheritance for her daughters she had, had by her second husband, Walsh. Hoby delivered and made funds available for Elizabeth when she needed them. The couple were attendants upon Henry VIII’s sixth queen. Lady Hoby was a lady to Her Majesty and was part of her inner circle of ladies who read scriptures and continued to push the reformation of the Church. Lord Hoby was a part of the queen’s council from 1543, onward. He also was a steward, later on, to Baron Seymour of Sudeley. By chance, the couple swapped the Abbey of Bisham with the former queen, Anne of Cleves. There was some delay as Anne was not satisfied with giving up the site as requested by Edward VI. In the church of All Saints is a window dedicated to the Hobys. The lights also feature the arms of several of the Hobys, including Sir Philip and Elizabeth. The Abbey at one time belonged to the Earls of Salisbury. It belonged to the last Plantagenet and York Princess, Margaret of Clarence–or–better known as “Lady Salisbury”. The Countess of Salisbury lost her head and her possessions when her cousin, Henry VIII decided to kill her. Lady Salisbury was a cousin to Queen Katherine Parr’s paternal grandmother, Lady Elizabeth Parr/Vaux. Lady Hoby was lucky enough to be sketched by Hans Holbein. However, due to later rubbing and re-enforcing, the portrait is not in good quality. The description of the sitter was most likely added later and may not be reliable as most Tudor portraits were labeled after the period they were created. If the inscription is correct, the sitter is most likely Elizabeth Stonor.